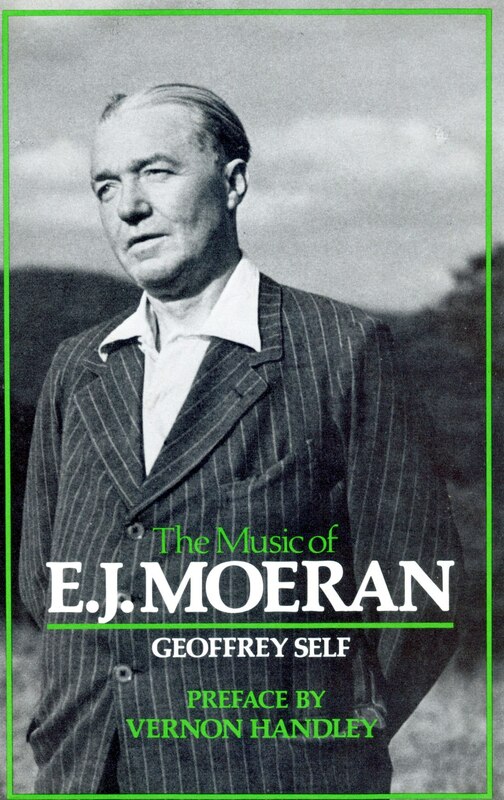 E. J. Moeran (1894-1950) is one of the outstanding British composers of his generation, his music championed by Sir Adrian Boult, Vernon Handley, Norman Del Mar and others. His work covers a considerable variety of forms, from the widely admired Symphony in G minor to exquisite songs amd piano miniatures. In this first-ever full-length study of his music, Geoffrey Self examines Moeran’s output chronologically, from his early piano and chamber music and tone-poems to the late masterpieces of the Cello Concerto and Cello Sonata. Moeran’s life and career were far from easy. A grievous shrapnel wound in World War I left him with a tendency towards alcoholism, exascerbated by a rioutous four-year sojourn with Peter Warlock which inhibited his ability to compose. Freed of the weight of Warlock’s personality, Moeran went on to complete his Symphony, two concertos, and much else of enduring value and importance. He spent his last years in the Ireland he loved, attempting in vain to complete his Second Symphony.